We had purchased an eglu, and it just isn't big enough for our little flock. So, we are now almost done with the new coop, it's done enough for Big Moll to sleep in it and be safe, but we have the roof to complete. Who knew how much work that would be! 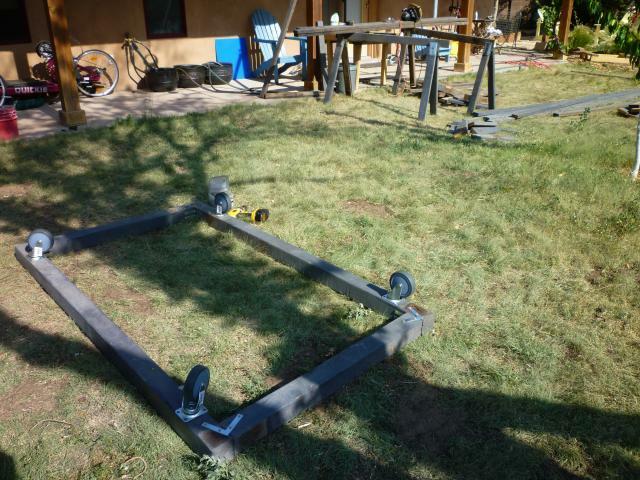 Here are a few of the photo's of our progress so far. I will admit that we did this coop with a bit of a careless air and we aren't square, so there are some interesting qualities to the coop. 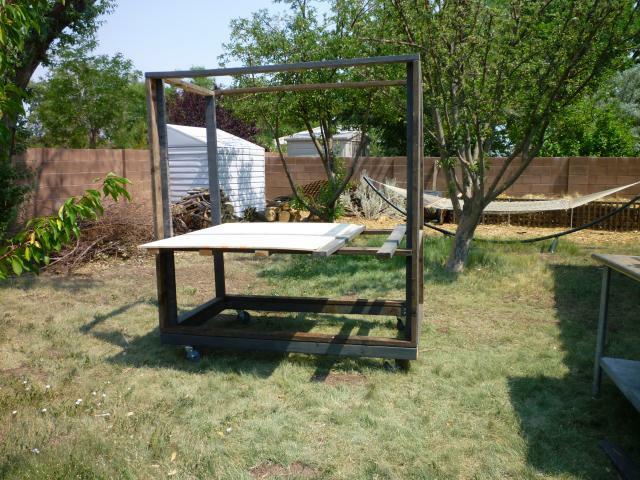 Most of the Matieral's are recycled from a deck we dismantled, which made being square more difficult. 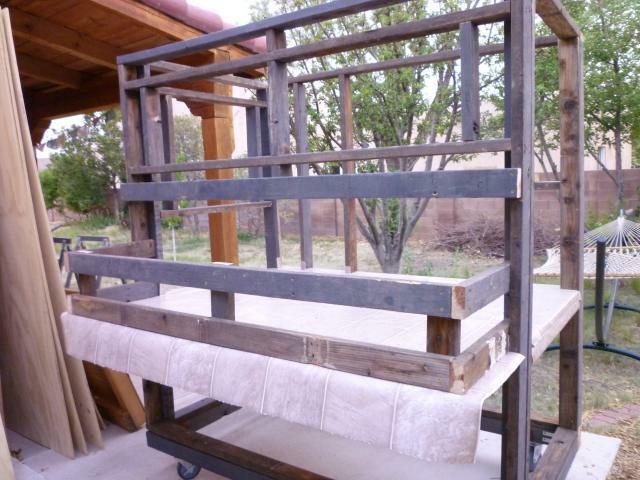 I did purchase new screws, hardware, and plywood, but most of the structure is made from old wood. I did purchase some coop designs, but we ended up winging it anyway. I can't follow recipes it seems, I am always going off road! 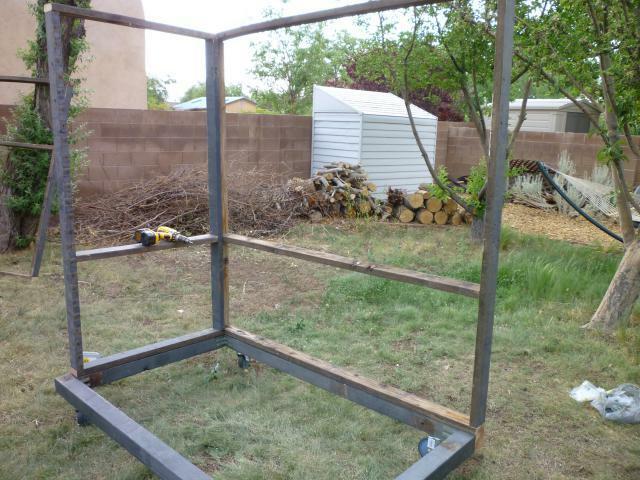 Then we framed up the sides and attached them to the base. And, because there are truly genius' on BYC, I put down Linoleum flooring, to make clean up easier. 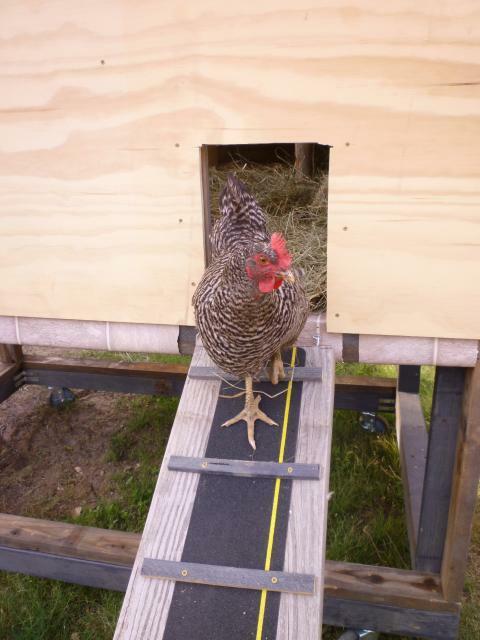 building the egg boxes over the flooring to help keep the flooring down and stable. my cool pull door, I am very proud! This is my DH working on the egg boxes. 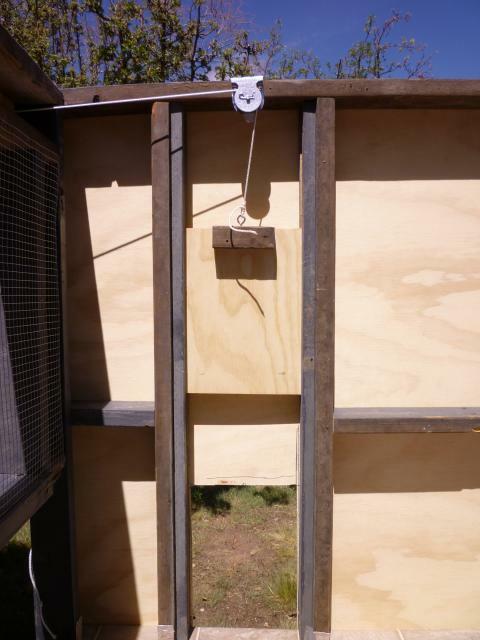 We also added the flap door on one side and a real door on the other, so we can change out food if in the winter we put food in the coop, and the roost's are near the other, big door, so we can catch sleeping chickens if needed. 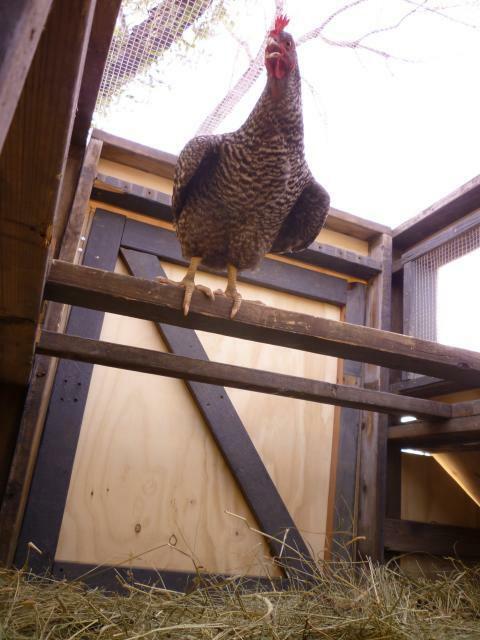 This is Big Molly sitting on her first roost. Eglu's are cool, but chickens don't get the hang of roosting in them. We will have to train her to roost instead of sleep in her egg box. But, she is a good girl and I think that issue will sort itself out. She was happy to get out and get a treat soon after the photo. She has a temporary roof on until we can finish the coop this coming weekend. 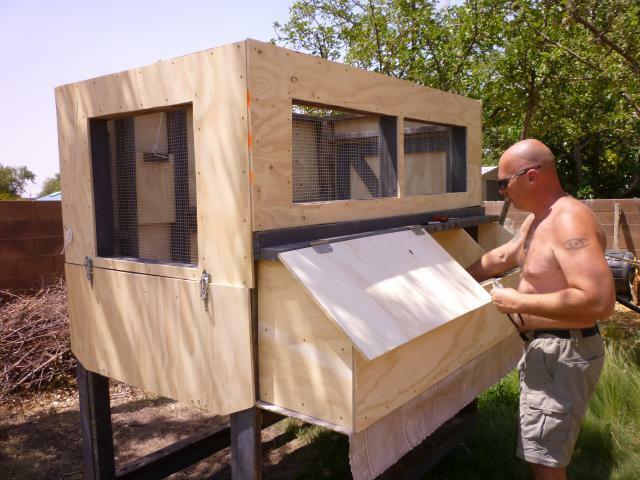 I am planning to paint the coop on the outside, so it won't look so boring for too long. I also am starting to collect license plates, as I decided to shingle the coop with them. Work in progress, and all that. I took another hint from someone here at BYC and used traction tape for the ladder/plank. It helps her not slip down the slide. Would love more construction details. Definitely an upgrade from the Eglu! I have two questions about the coop. The first question is how much did it cost to build? The second question is where did you get the supplies for your coop? Other than that i love it.